The East Bay's new Burmese immigrants left their homes in Thai refugee camps only to find themselves in an even tougher spot— inner-city Oakland amidst a punishing recession that threatens the assistance they depend upon. Oo Meh, April Ni, Bo Reh, and Groto Ni stand in the breezeway of the apartment complex they share with other recent Burmese refugees. Oo Meh and Groto Ni were Karenni rice farmers who spent more than 20 years in a Thai refrefugee camp before arriving in Oakland just months ago. Ale Sho had been in the United States just three weeks when he and his neighbor were accosted while returning to their apartments from an Asian grocery. Ale Sho was carrying two bags filled with fruit juice and wearing a produce-stuffed backpack that also contained a benefits card loaded with enough credits to sustain him and his family for a month. As the two friends neared to their Eastlake district apartment, three young men who had been eyeing them crossed the street and began to follow. Walking the last two blocks more briskly with their heavy groceries, Ale Sho told his neighbor, "They do not look nice." Just as they reached the gate of their complex, one of the young men grabbed Ale Sho's backpack. Although his neighbor had already run upstairs into the complex, Ale Sho refused to surrender the pack. After a short tug-of-war with the robber, he saw one of the young men pointing a gun at him. Miraculously, Ale Sho was able to get inside the gate and shut it with himself and his groceries intact. "We had many, many hard times in Burma," said Ale Sho, a lanky man in his thirties who spent the prior fourteen years in a Thai refugee camp. 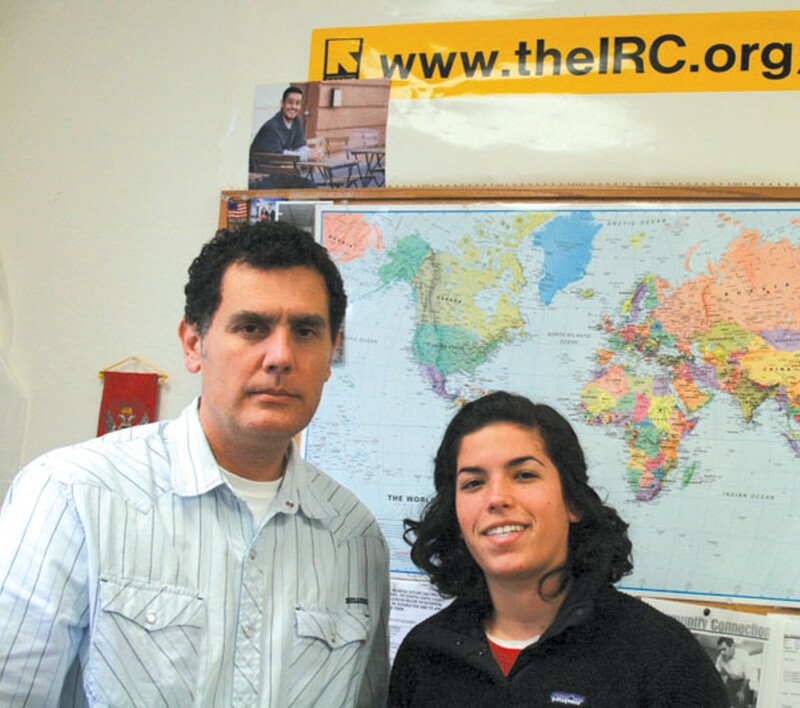 "When we came to the US we thought it will be free, so we feel more upset about [the robbery]. We thought we would be released from the hard times, but we are still unsafe." 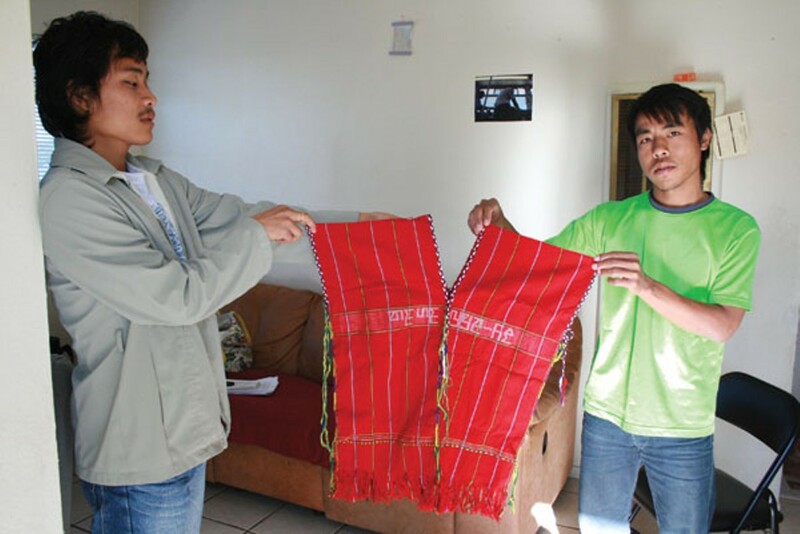 Nothing was stolen from Ale Sho, who like many other Burmese immigrants uses no surname. But the attempted armed robbery left him with a mental scar. Through a translator, he said he's afraid he will run into those young black men again. And although he speaks little English, he believes the men told him something along the lines of, "We'll see you again." So he stopped wearing his backpack and is now more cautious around African Americans, even though he knows they are not all robbers. Like thousands of other refugees from Burma, Ale Sho came to the United States straight from the camp in Thailand. In the last three years alone, about 2,000 such refugees have arrived in California, with more than 300 resettling in the East Bay, most of them in Oakland. Their journey to Oakland is just the latest chapter in a long quest for freedom that includes civil wars, poverty, and forced relocation from a land 9,000 miles from here. But while the US government offered these refugees protection and the promise of a new life, the ones who wound up in Oakland arrived to discover themselves in the middle of another hostile environment — urban America during the worst economic crisis in generations. Many Burmese refugees in their twenties or even thirties were born in the refugee camps and thus have no work experience, making their transition all the more difficult. Even for those with work experience, transitioning from agrarian village life to urban life is a challenge. They come with little preparation for American life, and almost no money or English skills. And to complicate matters, many do not even consider themselves Burmese. Instead, they identify themselves through their ethnic affiliation. Ale Sho and most of the other recent arrivals are Karenni, members of a tiny Burmese refugee group. Other immigrants are members of the larger Karen community. Most of these families are so-called "free cases," a term resettlement workers use to describe refugees who have no family members anywhere in the United States. After all, the first Karenni refugee family arrived in Oakland just last April, although about sixty have since settled here. But the Karenni had no established community here, and their language is little known. Consequently, resettlement workers often place the new refugees together in the same buildings and neighborhoods. For instance, the apartment complex where Ale Sho lives with his wife, mother, and infant daughter houses four Burmese families. Two are Karenni, one is Indian Burmese, and the other Chin. The interpreter, Nwe Oo, who lives elsewhere in Oakland, is Rakhine, yet another ethnic minority. Resettlement workers find the task of assisting these refugees, particularly the Karenni, one of the most challenging they have ever undertaken. "When I compare them in how prepared they are for American culture, I'd say they are the least prepared," said Don Climent, the regional resettlement director for the International Rescue Committee, who during the past thirty years has helped to resettle refugees from as far afield as Bosnia, Iraq, and Bhutan. "They have more things to learn and more things to accomplish before they can fully participate in American society." For the East Bay's growing Burmese refugee population, it is a particularly bad time to be embarking on a new life. Burma, now called Myanmar, was once a British colony. During that time, the Karenni or Kayah state — one of the smallest and poorest in Burma — was independent. The region, which is along the southeast border near Thailand, is mostly hilly and agricultural. Many Karenni were poor farmers who worked in rice paddies and cut wood from nearby jungles. When Burma gained its independence from Britain in 1947, the government began occupying these lands. Ever since then, the country has been embroiled in civil wars. Ethnic conflicts in the Karenni state and elsewhere led to purging, village burnings, and forced labor. Ale Sho grew up under the watch of the Burmese military. His father had been made to do forced labor for the military many times, each time coming back with bruises and scars. Village families were often caught in the crossfire of the civil war between armed rebels and the repressive military. Once, the military arrested nearly half their village. Ale Sho and his father were captured and tortured for a night, and then released. Soon thereafter, in 1994, Ale Sho decided to flee by himself at the tender age of fourteen.